May was a terrible reading month for me: I only managed to read one book in its entirety throughout the whole month. Lame, I know. As I mentioned in my recent book haul, May is a crazy time for high school teachers; we spend a majority of the month trying to keep our students focused enough to make it to graduation in one piece. Needless to say, I quickly figured out that my ambitious May TBR was nothing more than a pipe dream. On the bright side, the book that I did manage to finish, Sheryl Sandberg’s Lean In, ended up being one of the best feminist pieces I have read in quite a while and was, without question, the most frank discussion of women’s continued struggle in the workplace that I have ever encountered. Spawned from a Sandberg’s 2010 TED Talk, “Why We Have Too Few Women Leaders,” Lean In takes a hard look at women’s absence from the higher rungs of the corporate ladder. In the decades after the Women’s Liberation Movement, Sandberg contends that sexism isn’t the only reason women are underrepresented in leadership positions. Many women stall their own career prospects in tacit and explicit ways long before they are in line for a corner office. For example, many women are risk adverse in the workplace and are less inclined to take on a project that is taxing or tout their successes if they do. Also, unlike their male counterparts, women are less inclined to apply for a job to which they are only partially qualified. Women also shy away from seeming to be “too aggressive” in the workplace and demure where they should “lean in” during important moments. Women who do “lean in” run the risk of being received poorly by their peers and supervisors. Ambition, the workplace tells us, is a virtue in men and a vice and women. Reading Lean In I frequently recognized my own behavior and the behaviors of my female friends and colleagues. Even though we grew up in post-Roe America, where we were told we could be whoever and whatever we wanted to be, my generation, like Sandberg’s before us, was falling into the same “nice girl” binary trap. One phenomenon Sandberg discusses, “off ramping,” really stuck with me. Off ramping is when a woman, either by choice or necessity, detours from her career path to either start or care for her family. By the time she re-enters the workforce she is years behind her colleagues and is often working under someone younger and with less experience than her, a truly disillusioning situation. Within my own field, one that many women enter because it is a “family friendly” occupation, I have seen countless women take a year (or two) sabbatical, move their schedule to half-time, or quit their jobs altogether so they can tend to their growing families. While Sandberg doesn’t question women’s abilities to make the best decisions for their families, she does she women’s flight from the workforce as emblematic both of the imbalance of work/care responsibilities in marriages and the United States government’s lack of support for working families. If more families had access to quality child care at a reasonable (or no) cost, would more women remain in the workforce? 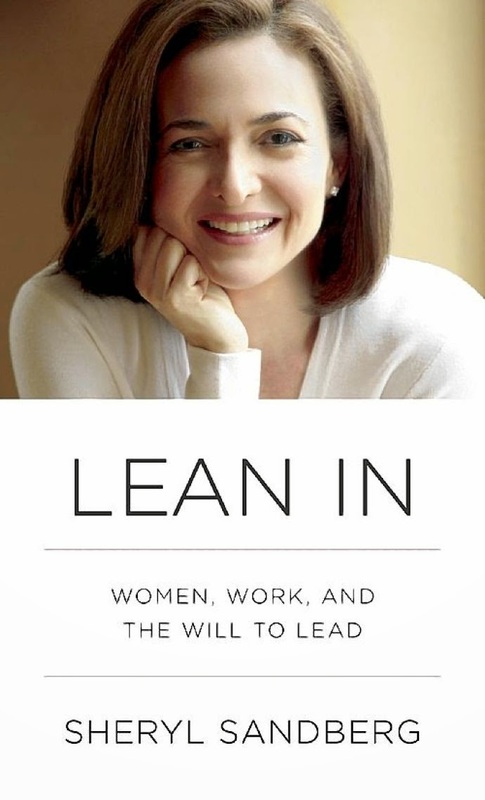 Even if your views diverge greatly from Sandberg’s, Lean In is a thought-provoking read.